Bayshore Inn is proud to offer it’s guests a slew of amenities, accommodations and recreations. We are pleased to be a premier property for your next vacation…or we would love to have you for an extended stay. All of the amenities are described in alphabetical order by section. One of the most unique things about the Bayshore Inn property is that we offer a full service bar, lounge and gaming right on the grounds which is open 24 hours a day. At the Blue Lagoon Lounge you can have a drink and relax any time of the day or night and converse with the friendly bartenders and guests alike. Plus for more fun you can play , at 50 cents a pop and retro. For full information on this incredible recreational facility visit the information page for the Blue Lagoon Lounge. Walk 100 yards out our back door and you come to the River where we have BOAT & SEA DOO LAUNCHING right onto the beautiful Colorado River. There is no need to go down to the Casino docks as we offer this to all of our guests. 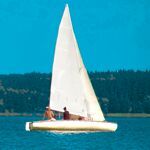 Unhitch that vessel and have some fun on the water. In addition, right in the same area, you can FISH off the private dock we own so you can devour some of those catfish that you will indeed catch during your stay with us. The Front Office and Lobby has a whole host of goodies for you to enjoy starting with a wide selection of over 50 reading BOOKS for the intellectual minded guests. Step out the front door and there is 24-hour BUS SERVICE to and from the casinos and downtown Laughlin arriving and departing every hour. 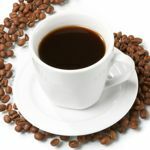 Morning time couldn’t be better with freshly brewed COFFEE available from 7 am to 11 am. That cup of Java never tasted as good as when its free! Satisfy your caffeine fix in the morning time…so help yourself to our coffee which comes served with cups, sugar and creamer. Walk around the corner and you are presented with a modern COMPUTER hooked up to high speed internet for full usage from the hours of 7am to 7pm. Surf the web, get on the Social Networks or contact friends and family all with our speedy computer system. On business or need something printed out? No fret…our Printer will handle the task. 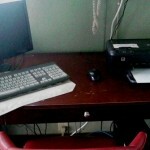 If you are here for work, play or living, come down to the Office and have complete use of the Computer. On premises we allow you to cook up some Bar-B-Q with one of our 5 different GRILLING STATIONS on the property, both charcoal and propane grills available. No matter what time of year it is, everyone likes the taste of some good old fashioned barbecue. 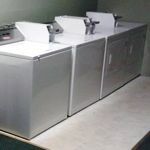 Open from 7am to 7pm our LAUNDROMAT located within the Lobby setting offers 4 full size Washers and Dryers for the guests. We don’t over-charge here either with a full load costing only $1.75 and a drying cycle at $1.25. Laundry Detergent, Bleach, Fabric Softener and Dryer Sheets available at an additional charge. We also have a folding area right behind the Washers & Dryers for ease of use after your clothes are sparkling clean. Are you ready for relaxation and serenity? Well we have it with our year round SWIMMING POOL that will cool you down in the hot and dry desert sun, plus…in the same gated arena our relaxing jet-propulsion JACUZZI will sooth those aching and tense muscles. There are several tables and chairs around to dry off after your dip into the water. 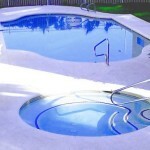 In addition, one of our Grills is right by the pool so you can have a party atmosphere in the comfort of our grounds. At the Bayshore Inn, we provide a casino-like atmosphere without all the hype of the big buys. 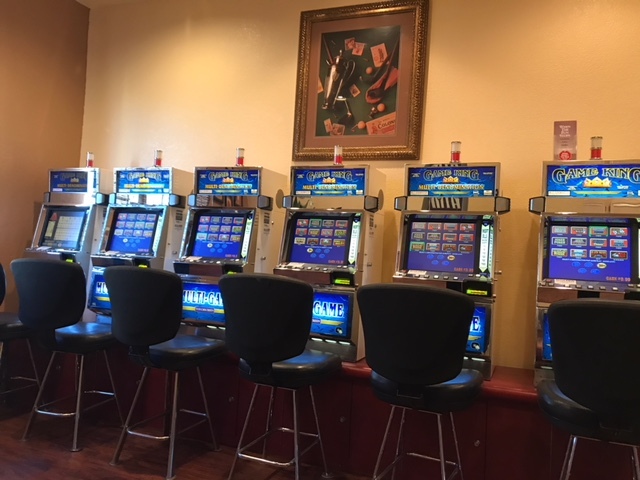 Hit a Royal or 4-of-a-kind on the one of the 21 VIDEO POKER MACHINES on the grounds, also offers Keno, Slots and Black Jack. The real money games are located in the Bar, counter top style, and in the Game Room adjacent to the Main Lobby. The machines in the Lobby are Tabletop versions with comfortable stools connected. In both areas, there are handy ATM tellers for getting cash immediately. Each of the spacious suites are individually controlled with an air conditioner/heater unit for a specialized climate. Offering over 50 FREE Cable TV Channels including the favorites like TNT, SYFY, ESPN, CNN, FOX and all national stations. Every room comes equipped with its own digital Microwave with clock so you can heat up food quickly and easily. Store all of your drinks and perishables with our convenient fridges with separate ice/freezer section. Connect to our onsite Free WiFi Internet connection with your computer, tablet or smart phone directly in your room. For our extended stay patrons we offer free weekly cleaning service with fresh towels and linens right to your door.